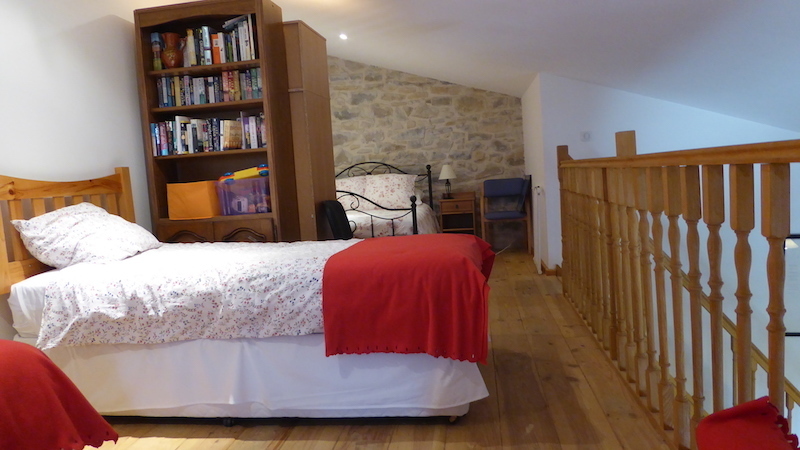 A two bedroom apartment with large Mezzanine - sleeping up to 10 people. 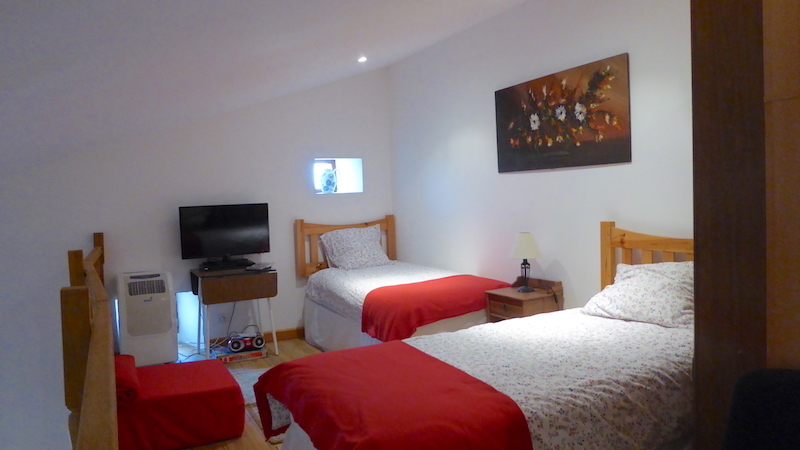 There are 2 bedrooms - 1 double and one twin plus a large mezzanine above the living room with two single beds and a double bed. There is also a full size comfortable sofa bed in the lounge area. Apartment Olive is on the 2nd floor. 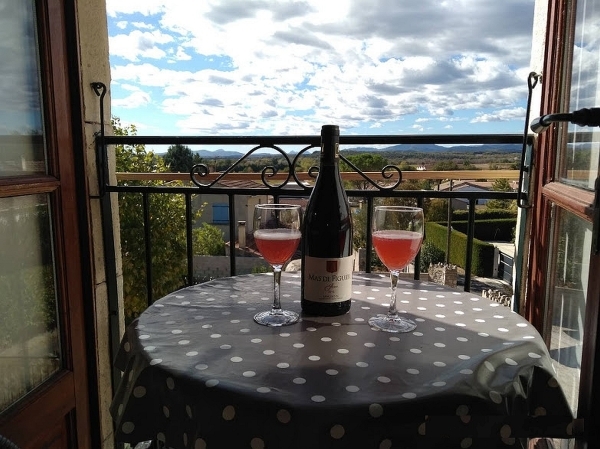 It has a Juliet balcony with spectacular view of the Cevennes mountains . It is a great location for sunset drinks . The apartment also has it's own space downstairs, outside on the terrace or in the Green corner for 'al fresco' dining and barbecues. Linen and Towels are provided. High chairs , cots plus various other baby and child equipment available if requested. Central Heating. There is no air-conditioning required as the walls are solid stone & over 1 metre thick. Because of this the building stays cool in Summer & remains warm in the Winter. Outside we have a large 12m x 6m swimming pool with a shallow kids area, inflatable pool withtoys , sun loungers, tables, chairs & parasols. The pool area is fully fenced & gated to ensure child safety at all times. Our pool is open from early May until mid October. 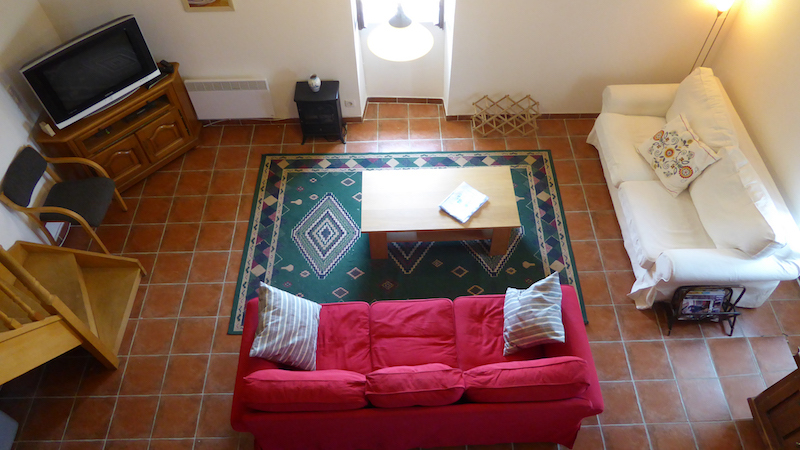 There is also a pool house loungers , comfortable seating and games.